This guide considers the historical contexts, the literary forms, the social and rhetorical backgrounds, the politics, the theologies, and the reception of 2 Corinthians. Each chapter surveys recent scholarly approaches to the text, focussing especially on critical perspectives that mesh with our contemporary concerns about gender, identity, race and class. 2 Corinthians becomes, in the proce… ss, less the work of a single 1st-century writer than a set of fraught, even fractured negotiations between competing interests and impulses, conducted in Paul's voice. The last chapter brings the letter into conversation with Nathaniel Hawthorne's short story 'The Minister's Black Veil' in order to shift the terms of the critical discussion from what Paul meant to how Paul means in later cultural moments.Twomey introduces students to the way 2 Corinthians offers a fascinating but fragmentary glimpse into Paul's continuing ties with the Corinthian community. 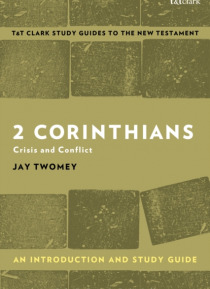 At the same time, Twomey shows how the letter is the site of many new critical challenges to traditional readings of Paul and early Christianity.In contrast to 1 Corinthians, this 2 Corinthians largely eschews the debates and discussions, the interests and concerns of Paul's correspondents. Instead we find Paul engaged in a multi-pronged defence of his ministry in and beyond Corinth. Over the course of thirteen chapters he runs the gamut of the emotions, rhetorically, from tears to joy to biting anger, while struggling to keep his relationship with (some say, his control over) the community intact.